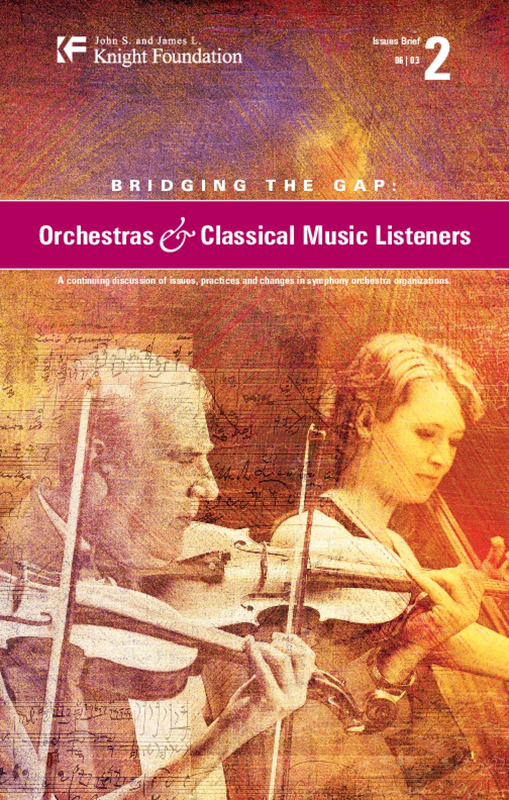 Identifies potential classical music consumers; explores relationships between an affinity for classical music and symphony attendance; and examines the impact some local orchestras have had on individuals not engaged with orchestras in their communities. Copyright 2003 by John S. and James L. Knight Foundation. All rights reserved.